Kate has just moved and feels adrift in a city that is too big for her. She's on the bottom rung of her career as a local journalist, and is determined to make something of it. So when the lido is threatened with closure, Kate knows this story could be her chance to shine. But for Rosemary, it could be the end of everything. Together they are determined to make a stand, and to prove that the pool is more than just a place to swim - it is the heart of the community. ordinary people can protect the things they love. This is a story of an unlikely friendship, of two women who have one main thing in common The Lido in Brixton - and their mission to save it from being closed and turned into a private sports facility. 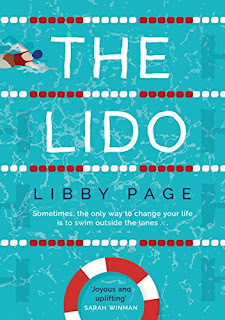 This is the story also of Rosemary and George and their shared history of over seventy years at the lido, and it is also the story of Kate and her attempts to once and for all conquer "the panic". Kate and Rosemary only meet when Kate, is sent to the Lido to do a story on it closure, and wants to interview Rosemary. Rosemary is 86 years young, and loves the Lido, she swims daily and also spends time in the cafe just watching life pass by in her favourite place in the world. Between the two ladies we also get a fabulous picture of Brixton itself, and almost makes the most dedicated North Londoner, in me, go south of the river and experience the multiculturalism of Brixton for myself. There is some fabulous descriptions in this book which really give you a feel for the lido, its users and also Brixton as a whole. 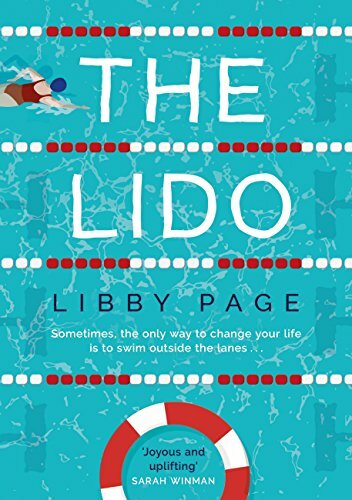 However what I found frustrating was how frequently you seemed to be in the present with Rosemary and then suddenly she is reminiscing about her life with George, and I found I was losing track of the time lines, as we get a look at their lives at the Lido over a lifetime. I found The Lido to be an interesting story of friendship, that was enjoyable to read and has me curious as to what else the author may write in the future. Thank you to Orion and Netgalley for this copy which I have reviewed honestly and voluntarily.